Product prices and availability are accurate as of 2019-04-14 03:38:19 EDT and are subject to change. Any price and availability information displayed on http://www.amazon.com/ at the time of purchase will apply to the purchase of this product. 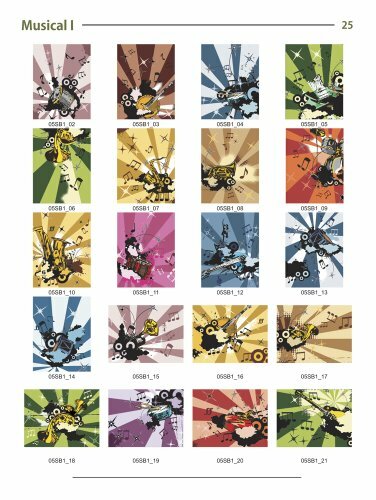 Here's a list of all the categories: CMYK Musical Backgrounds (30 images), Grunge Musical Backgrounds 1 (100 images), Grunge Musical Backgrounds 2 (50 images), Retro Musical Backgrounds (25 images), Staves Musical Backgrounds 1 (200 images), Staves Musical Backgrounds 2 (50 images), Sunbeam Musical Backgrounds 1 (50 images) and Sunbeam Musical Backgrounds 2 (50 images). Here's a short list of what's included: 558 unique musical backgound designs on 2 x CD-ROMs. 29 Page Full Color digital catalog of all the images is included on both CD-ROMs. 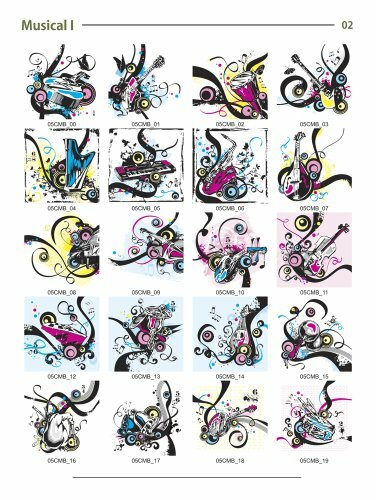 The images are available in three different formats: AI (Adobe Illustrator), EPS and CDR (CorelDraw). 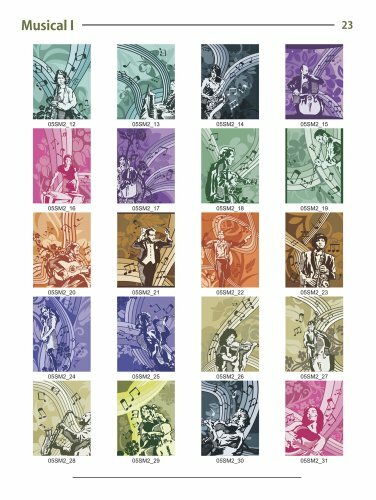 For a list of all the categories of musical backgrounds included please see the "Product Description" below. The Musical 1 is a must have for every graphic designer, sign maker and creative professional. Expect outstanding vector image quality plus clean and exquisite details in every image. Vector images can be scaled to any size without loss of resolution. Vector images are layered so you can easy to edit, manipulate and change to cater to your job or project. Both CD-ROMs are easy to browse and no installation is required to view the images. Due to their hybrid format the discs are compatible with all operating systems (including PC, MAC, Lynx, etc.). All images are royalty free and designed for commercial use. This product CANNOT be resold because the royalty free license isn't transferable. As long as you own this product you can use the images for all your commercial needs. Just like all digital goods on CD-ROM, it cannot be returned. 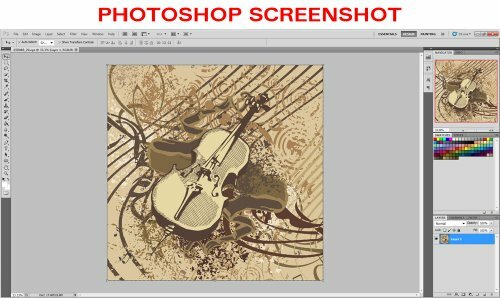 Musical backgrounds on popular stock agency web sites cost any where from $10 - $15 to download a ONE musical background with a standard license. The Musical 1 is only $29 which means each musical background image only costs $0.05 cents each. 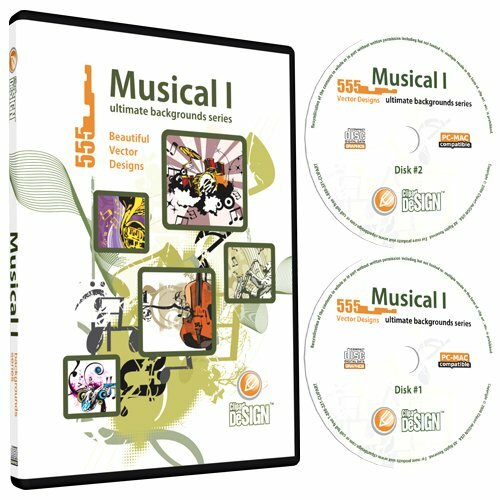 The Musical 1 comes with an ENHANCED license which includes unlimited reproduction and printing! Enhanced licenses on the popular stock agencies cost $100-$210 PER IMAGE! 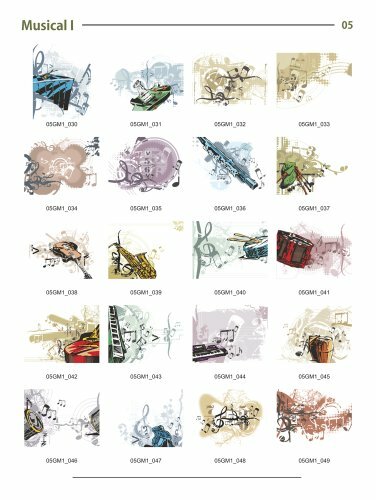 It would cost you small fortune to license this many background images for unlimited reproductions. Think about how much your saving! Clipart deSIGN USA is very generous when it comes it's licenses and pricing.